"In fact, more youth are still becoming addicted to drugs," she said. Building the arenas will cost "an estimated 71 million AFN [$1 million], which will be appropriated from the budget of this ministry," added Azimi. 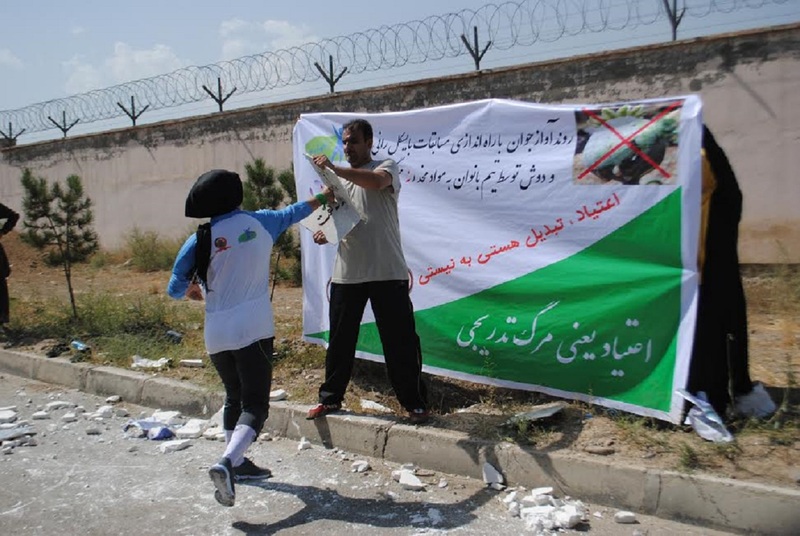 The stadiums are planned for Helmand and Zabul provinces, "where the problems of drugs and drug addiction are more rampant than anywhere else in the country", she said. "An increase in the level of youth participation in sports will reduce the cultivation and usage of illicit drugs," said Azimi. However, her ministry's efforts alone are not enough to defeat drugs, she said, adding, "All Afghans and Afghan government agencies must strive to eradicate drugs." "Sports are the enemies of drugs," said Shokrullah Atef Mashal, director of Afghanistan Cricket Board. "Building sports arenas and encouraging youths to exercise can definitely prevent the cultivation and consumption of drugs in the country," he told Salaam Times. "There is great interest in sports among the youths of Helmand and Zabul provinces," he said. "However, sport facilities and equipment are not available to the public, and this vacuum leads young people to drug abuse." On behalf of the Cricket Board, Mashal expressed gratitude to the Ministry of Counter Narcotics for its efforts in this regard and pledged to co-operate in the campaign against drugs. "I recognise its work as a good step forward," he said. "I urge other government agencies to invest in the sports sector to eliminate drugs and save youth." Safiullah, 19, welcomed the decision to build a sports arena in Helmand Province. "Although there is an ongoing war in different regions of our province, Helmand youth are eager to play sports, especially cricket," he told Salaam Times. "If they build a standard sports arena, a large number of youth will start playing sports, since sports are productive and positive," he said. "I assure you that in this case our youth will not only refrain from using drugs, they might stay away from extremism." "Unfortunately, we never had a standard sports arena in our province," Zabul Province resident Sobhanallah, 31, told Salaam Times. "Hundreds of Zabul's young residents are eagerly looking forward to the construction of a stadium." "Drug abuse not only harms the abuser and the abuser's family, it negatively impacts the social, cultural, economic, health, political and ethical conditions of a country," Mohammad Daoud Rawash, a sociologist at the University of Kabul, told Salaam Times. "Drugs are like silent tsunamis that threaten to destroy societies," he said. "Sports and physical exercise, on the other hand, are the guarantors of the health of a society," he said. "Sports can be a good option in the fight against drugs and drug abuse." 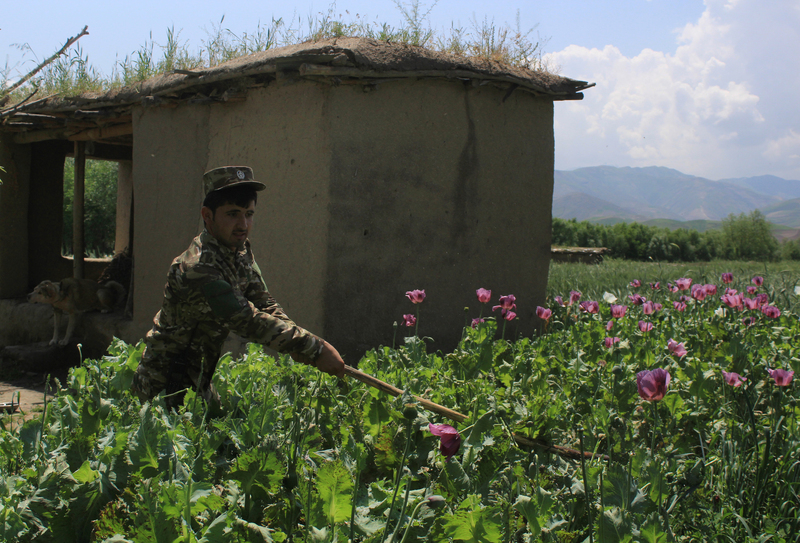 Some 99% of profits from the illicit drug trade goes to terrorist groups and drug cartels, according to the Afghan Counter Narcotics Ministry.